Generally dry weather continues for the next week or more. We will have a weak disturbance this weekend that will cool us down again and provide a slight chance for a light snow shower in northern parts of the state. We are still looking for a possible pattern change for second half of November. A chilly morning across the state with temperatures in lower valleys in the 20s, mountains and mountain valleys are in the teens with single digits in some very cold locations like Randolph (8) and Logan Summit (6). Probably no surprise that Peter Sinks is also very cold this morning at -15F. Brrrr! Unfortunately, not a lot of snow to go along with these chilly temps. However, it is allowing ski areas across the state the opportunity to make snow. I know many resorts have been blowing snow each day in an effort to meet their opening dates. We should see more of the same for the next few days. Northern Utah will be clipped this weekend by a weak disturbance. There may be a slight chance for lighter snow in the mountains of northern Utah, but the main effect of this system will to cool us down again. Sunday will be 10+ degrees cooler than Saturday so take that into consideration if planning outdoor recreation for the weekend. 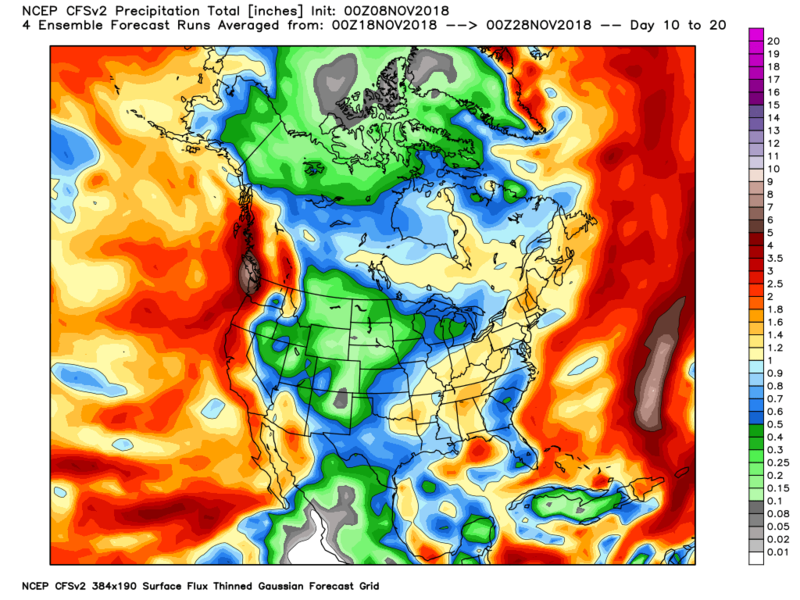 Otherwise, dry weather continues for the next week and likely beyond. Things get more interesting in the extended forecast. Right now, it looks like no real snow storms thru at least the next 10 days. However, toward the end of that range, we do start to see some change in the overall pattern that could open the door for storms to push into the West coast during Thanksgiving week and into the start of December. It looks like the ridge of high pressure that has been centered to our west will begin to transition east around mid-month. That should open the door for storm activity to push in off the coast. It is way too early for any details on specific storms. It's even too early for us to have confidence that this pattern change will come to fruition, but..... Things have been trending in the right direction over the past 48 hours. 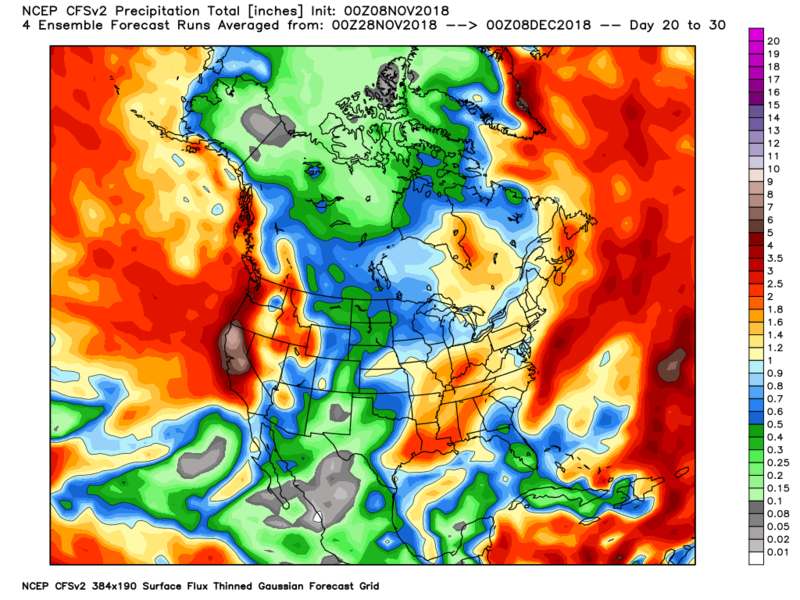 Here is a look at the latest CFS single model run output showing expected precip in 10-day periods. Pretty much nothing for us, maybe just a trace this weekend in northern Utah and that's it. 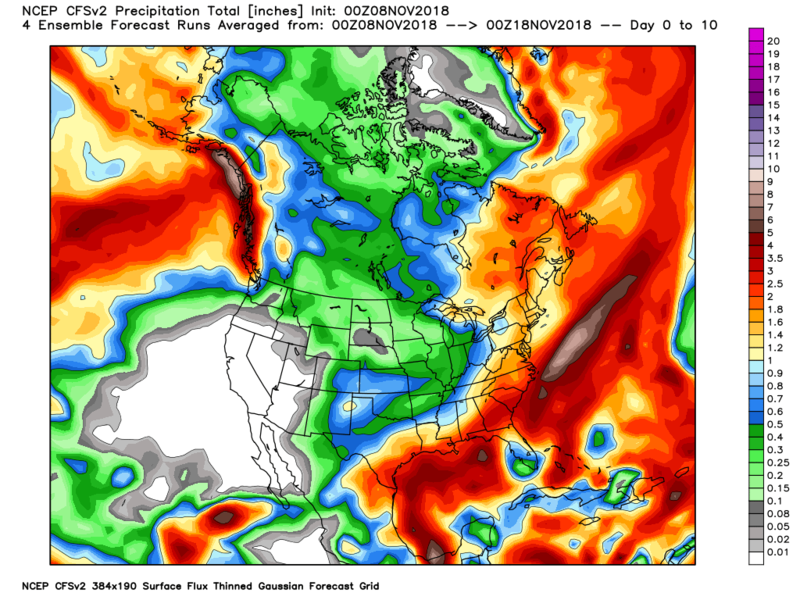 Notice that the west coast starts to get some good precip and some of that spills across the Great Basin into Utah. Nothing too crazy, but it's a start! Things really get going during this day 20-30 window in which the west coast sees heavy precip and plenty of that penetrates inland to Utah. The models above are notoriously fickle and anything that forecasts beyond 10 days is subject to a lot of variability. However, at this point all we have is long-range models to give us a bit of hope. Hopefully, we will start to see individual storms show up in the 10-day range.